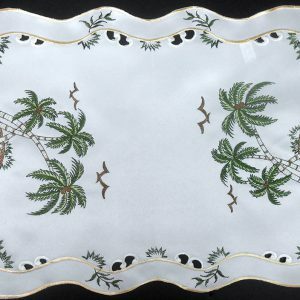 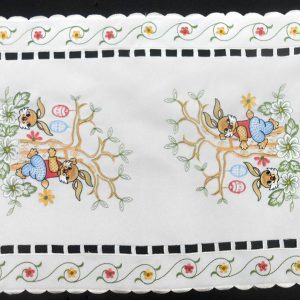 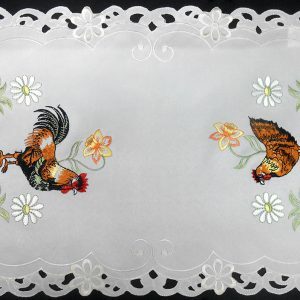 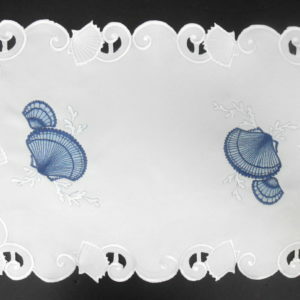 Place mat set also available in white. 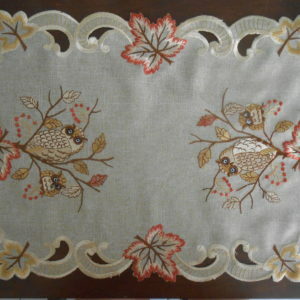 A rich mocha colored place mat, in a more modern design, will compliment the warmer hue tones in your home. 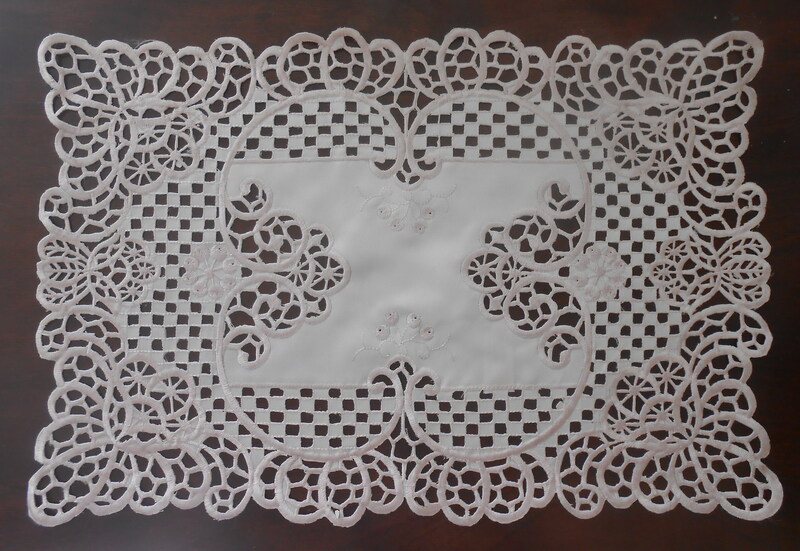 Mocha color available in a tablecloth as well as runners. 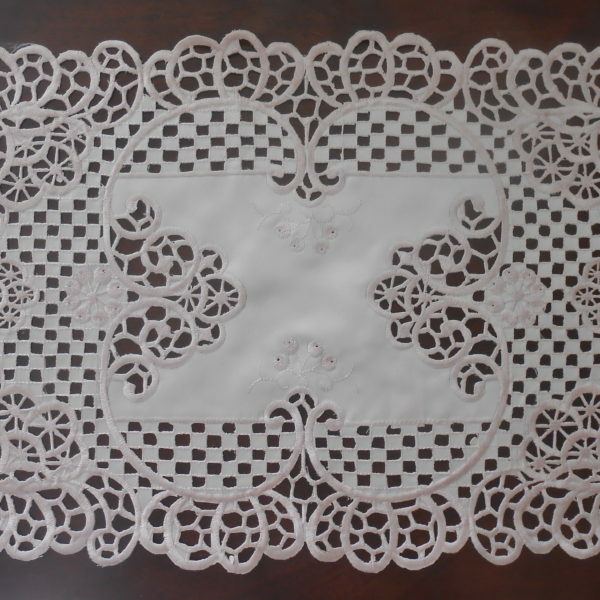 White available in select tablecloth sizes.